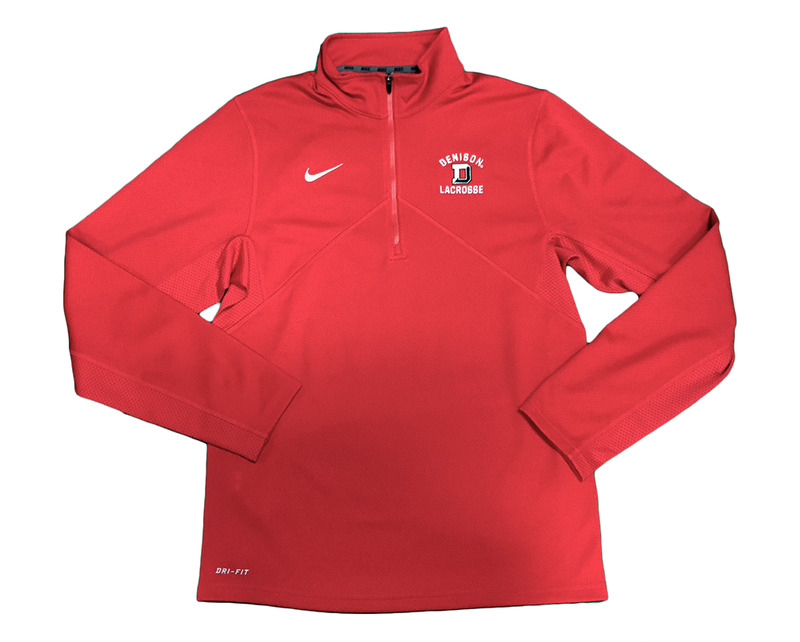 Athletes can head to the gym, boost their conditioning on a training run or go through drills on the practice field in comfort with the Nike Textured Dri-FIT 1/2-Zip Pullover. Being able to stay focused on the workout at hand is key to team success, and the flat seams and neck binding ensure a cozy fit that won't distract players while they get to work. As the intensity heats up while preparing for the next meet or matchup, athletes can stay dry to reach their peak performance thanks to the Dri-FIT fabric that pulls sweat away from the body.